CMH Lahore Medical College Admissions 2017. Combined Military Hospital Lahore Medical College was made functional in 2006. 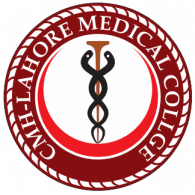 CMH Lahore Medical College is located in Lahore Cantonment. Its attached teaching hospital is CMH Lahore Hospital. The Institute is affiliated with National University of Medical Sciences (NUMS) and recognized by Pakistan Medical and Dental Council (PMDC). In 2015, CMH Lahore Medical College was placed in 'A' Category by PMDC. The Institute is Internationally recognized by the Medical Governing Bodies. Local Candidates must have appeared in NUMS / HEC ETC / UHS / Provincial Entry Test. Foreign Candidates can apply either on the basis of SAT-II (Min 550 marks in each subject) or NUMS Entry Test or Provincial Entry Test. However, best score will be considered for merit calculation. Note: Local Candidates can also apply on SAT-II. If at any later stage, PMDC and NUMS decided not to entertain SAT-II score for local students, the admission on the local seat will be conducted on the basis of NUMS Entry Test. Eligible Candidates can purchase a prospectus (Rs 3000/-) from the campus. After purchasing the prospectus, candidates will have to fill the form online from the below mentioned link. Candidates short listed on merit will be called for interviews. However, the interview will have no effect on the merit.